Love those oysters. 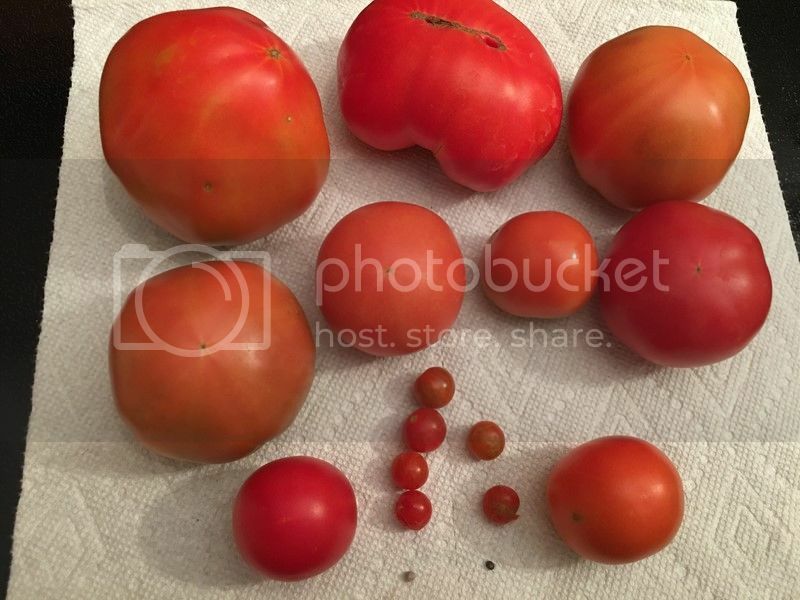 Gorgeous tomatoes as well! 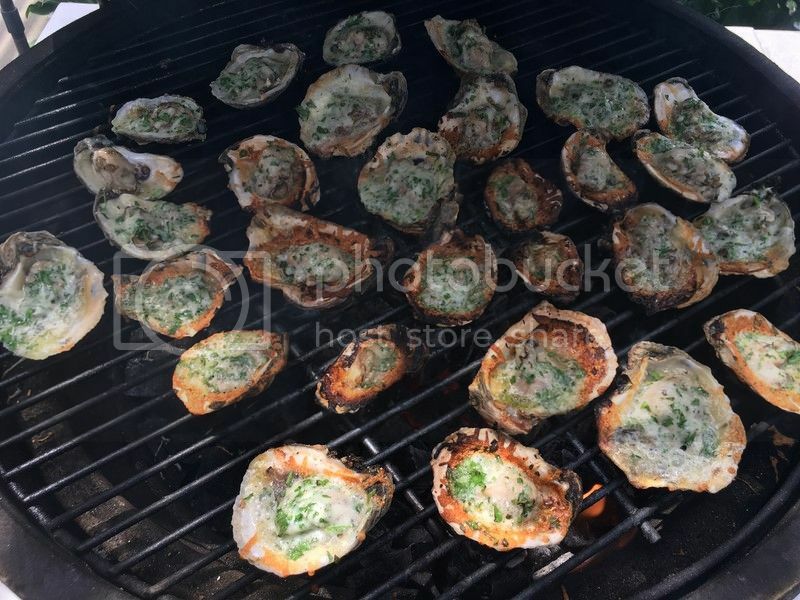 Those oysters look primo, do you add anything to them? Cheese Worcester sauce? Here you go Russ - this is from Dragos in New Orleans - The originator of the charbroiled oyster. Heat a gas or charcoal grill. In a medium bowl, mix butter with garlic, pepper, and oregano. 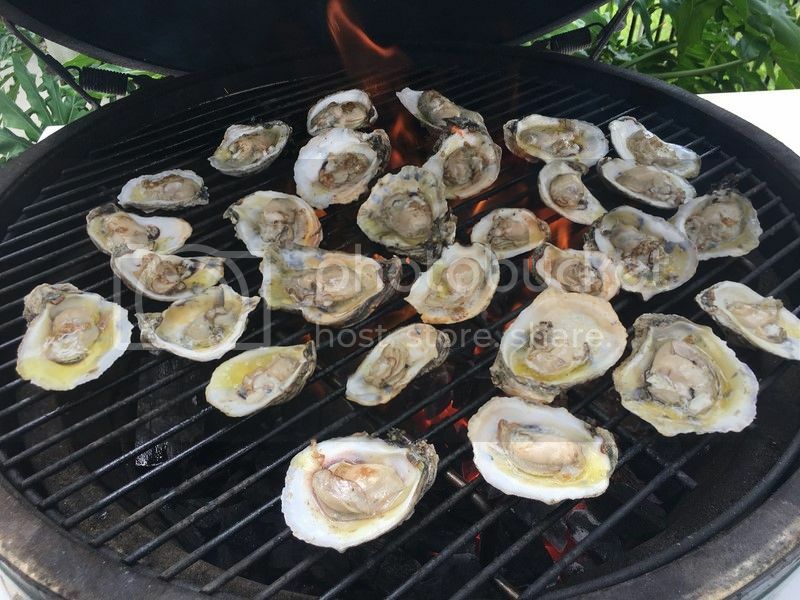 Place oysters on the half shell right over the hottest part. Spoon enough of the seasoned butter over the oysters so that some of it will overflow into the fire and flame up a bit. 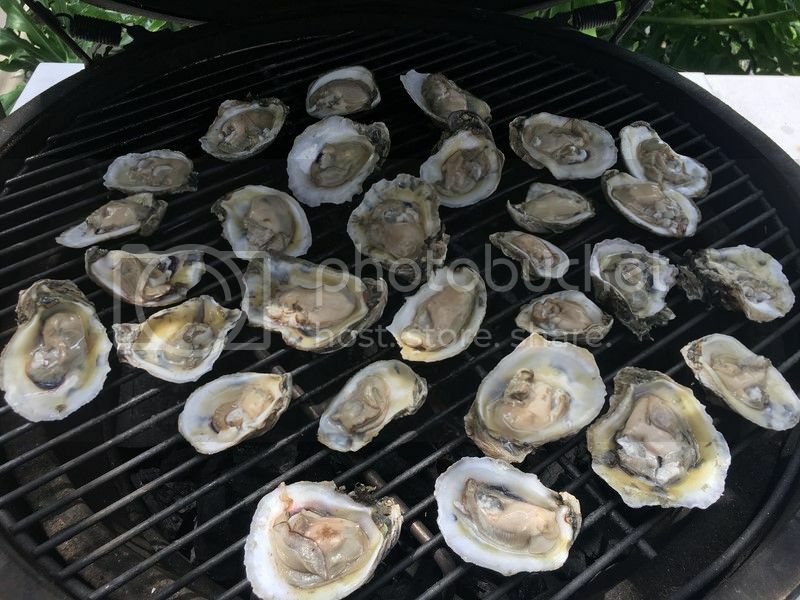 The oysters are ready when they puff up and get curly on the sides, about 5 minutes. Sprinkle the grated Parmesan and Romano and the parsley on top. Serve on the shells immediately with hot French bread. Man I'm drooling reading the recipe, man I'd wolf down 2 dozen on my own. I treat myself occasionally as wife hates all sea food. 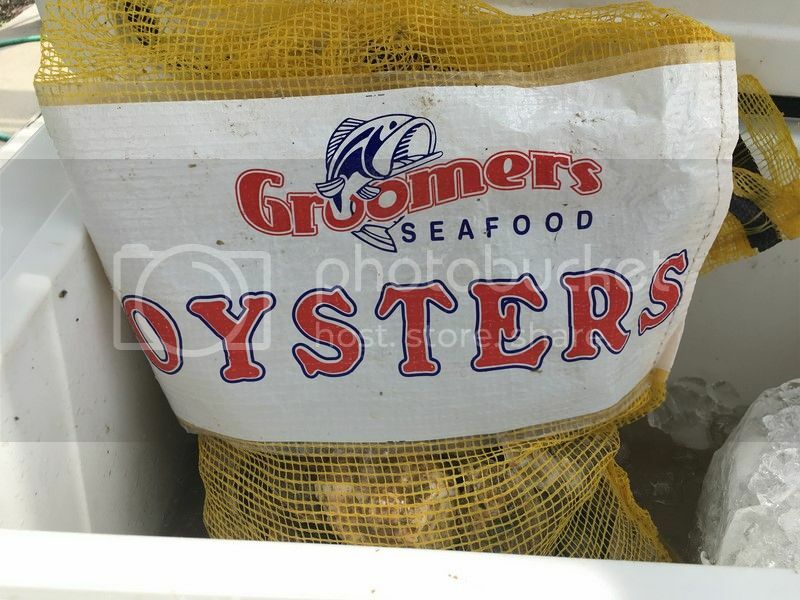 Our oysters are from bluff at the bottom of the South Island, about $30 dozen. You live well. Those look great !! 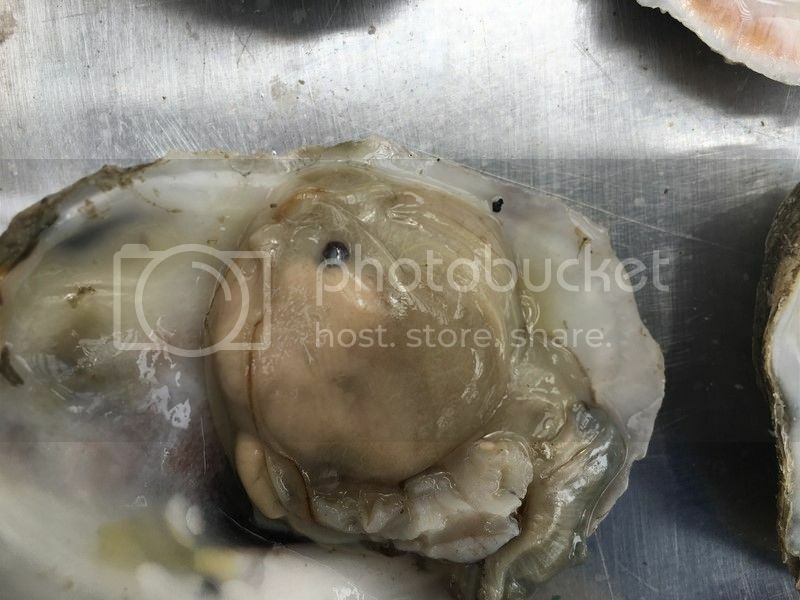 Put a shrimp on the the oyster before grilling next time and see what you think about that. I was just wondering about pearls, lol. Those look great, Egg, did you get those from a Local Boat or Store ? 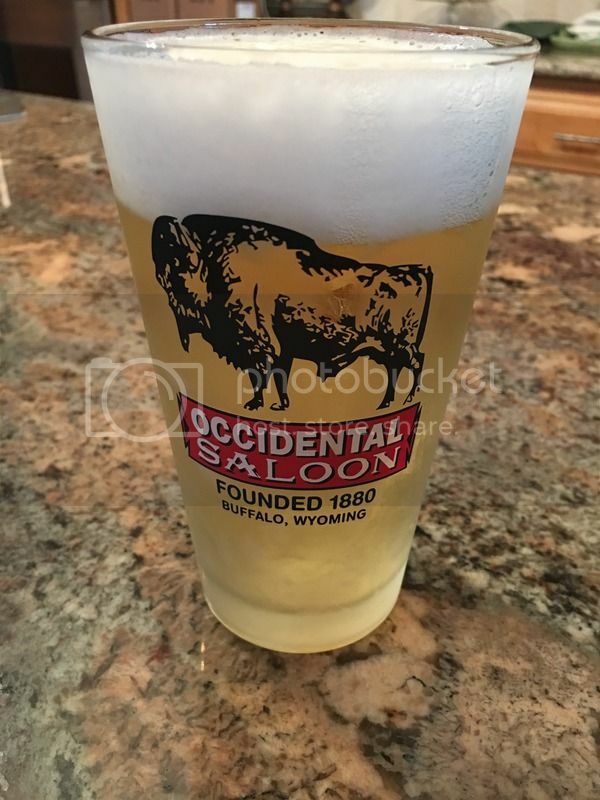 Can also get them at a place in Rockport where a bunch of oyster luggers dock. The tomato got the same treatment as the oysters - oh boy!! Looks Great!! 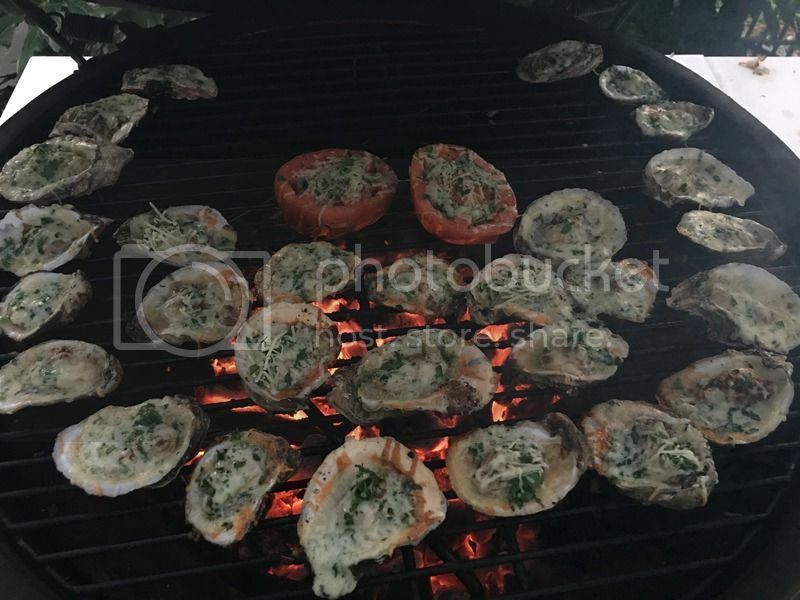 I love me some oysters! 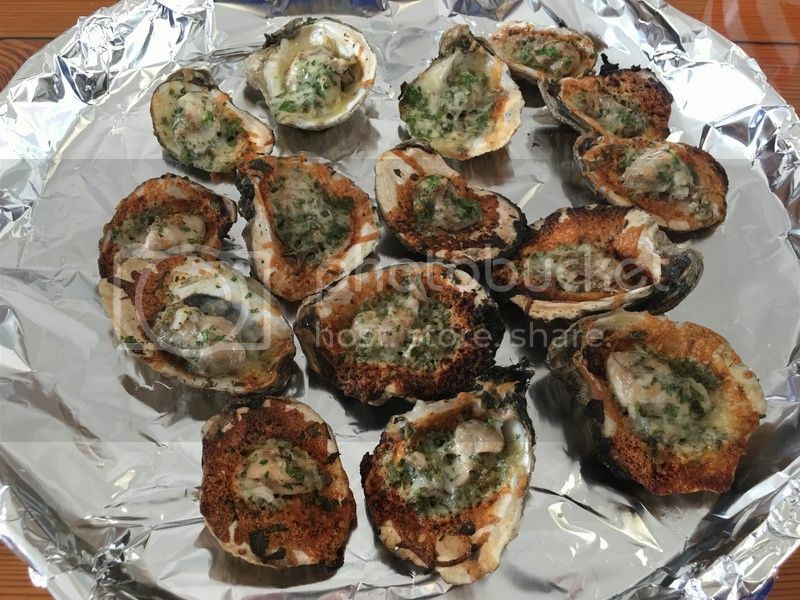 I'm not a big fan of oysters, but these look fantastic!! I would certainly put down a couple! EH - mind me askin' what a sack of oysters goes for down on the coast? 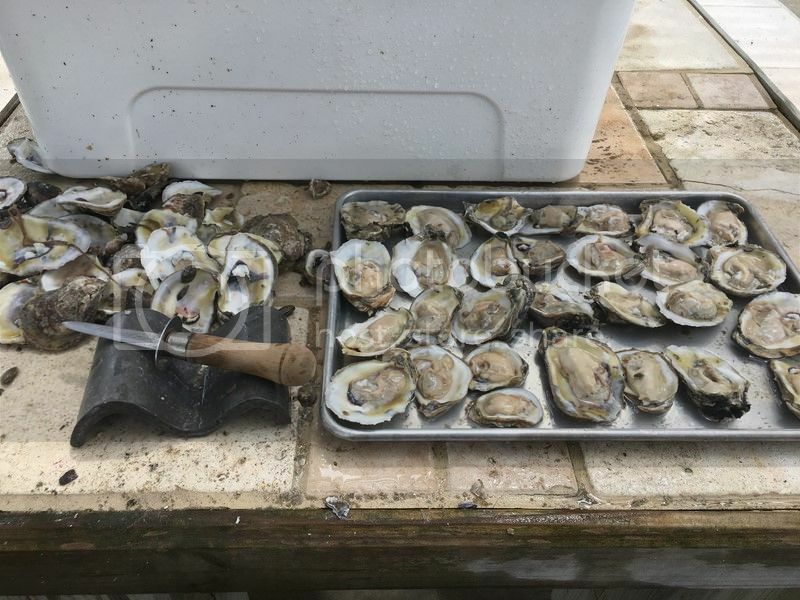 I've never shucked oysters but I sure love to eat them. Wouldn't mind giving it a try one day.